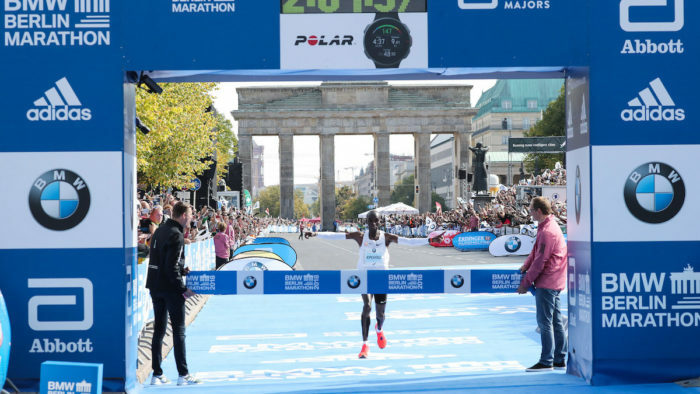 Obviously the biggest running news of the weekend was the incredible marathon time of Eliud Kipchoge at Berlin. His finish time of 2.10.39 took an incredible 1 minute and 18 seconds off the men’s marathon world record. The last time a chunk that size was taken off it was over 50 years ago. There was definitely a sense that we saw history in the making. However, nobody really seemed that surprised that Kipchoge had done this. Mostly because of his part in the Nike Breaking 2 Project, where he ran 2.00.25, albeit not on a course that was eligible for the world record. There definitely seemed to be a sense that on the right day, on the right course, Kipchoge would break the record. He’d run 2.03 in London in 2016 and 2.03 again in Berlin in 2017. Eventually his consistency paid off. 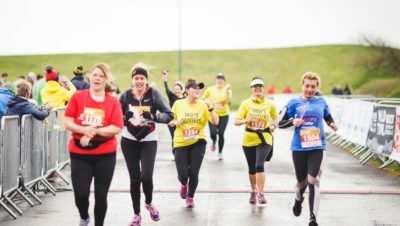 His average pace was an eye-watering 4 minutes 38 seconds per mile. His only company during the race was pacemakers and in the end even they couldn’t live with his pace. The win never seemed in doubt, it was only ever whether he could get the record. He even managed to negative split it! What will he do next? He’s 33 so he still has more fast marathons in him. He’s already said he’s going to go back to Berlin – could another chunk off the marathon world record or even sub 2 be within reach in the next couple of years? Amos Kipruto was second in the men’s race, almost five minutes behind Kipchoge, and Wilson Kipsang third, completing a full Kenyan podium. The women’s race was also very speedy, though not as headline-grabbing. Tirunesh Dibaba led until halfway but then cramp got to her and Gladys Cherono, the eventual winner in 2.18.11, and Ruti Aga both overtook her. 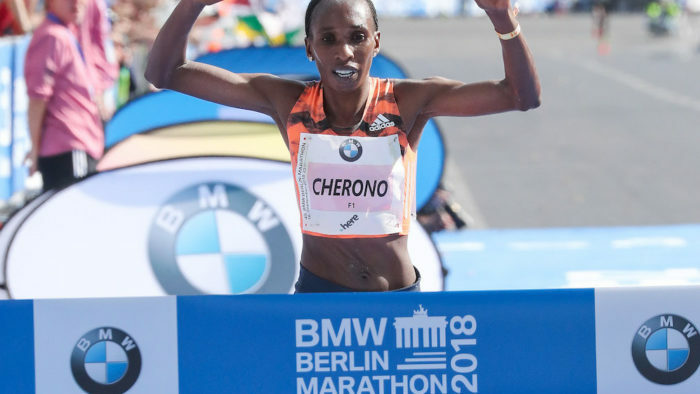 The first three women were all under 2.19, which has never happened before at Berlin, and Cherono broke the course record. 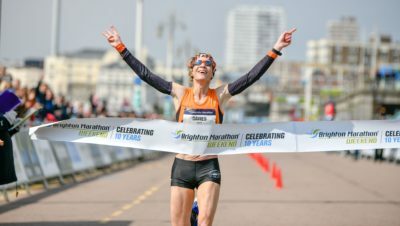 So it was a historic weekend for both women’s and men’s marathon running, if not for men’s marathon racing! It will be very interesting to see what Kipchoge’s next race brings. 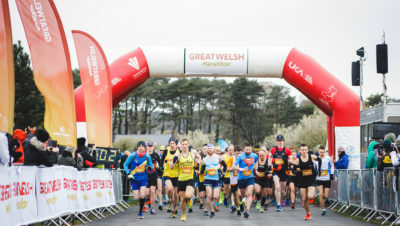 See the event website for the full results.